When the action speeds up, fire a blazing fast 6 frames per second continuously for up to 100 shots. 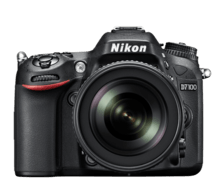 Building on the acclaimed autofocus system from the D300s, the D7100 uses 51 focus points, including 15 cross-type sensors for detecting both vertical and horizontal contrast variations, to achieve fast, precise focus. The central cross-type sensor works all the way down to f/8, a huge advantage when using compatible teleconverters. At the same time, a highly accurate 2016-pixel RGB sensor evaluates every scene, taking into account brightness, contrast, subject distance and colour, for spot-on auto operations like Face-Priority and full-time autofocus during video capture. The D7100 makes it easy to share your great photos immediately, wherever you are. Connect the optional WU-1a Wireless Mobile Adapter* and instantly transfer shots to a compatible smartphone or tablet±, then upload them to the web, send by email or text—share them however you like. 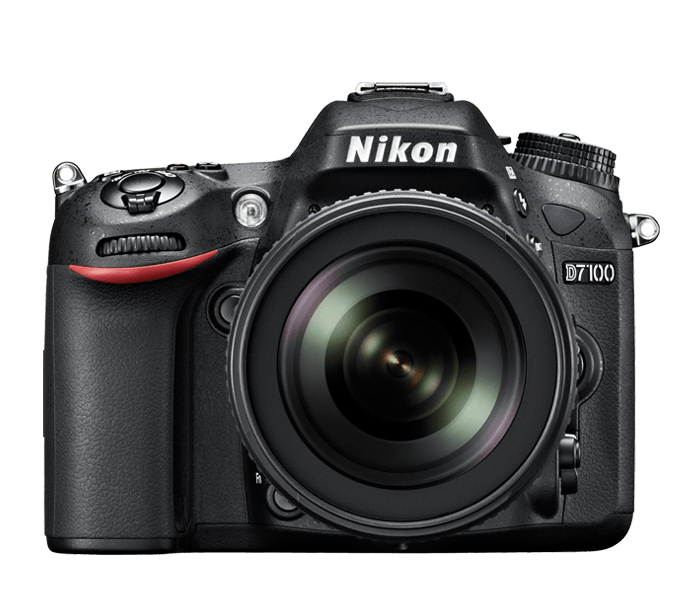 With Nikon's free Wireless Mobile Utility installed on your smartphone or tablet (available for both Android and iOS), you can also remotely control the D7100. Use your phone or tablet as a Live View monitor to take shots without having the camera in your hands, a huge advantage for everything from self portraits to digiscoping with a Nikon fieldscope. The D7100 will inspire your creativity to new heights. Built-in HDR (High Dynamic Range) combines shots taken simultaneously at different exposures into one beautifully rich, high-contrast image. Picture Control gives you instant access to the colour characteristics of your images, and spot White Balance control for Live View shooting makes setting the white balance as easy as pointing to the area in the frame that should be white. You can even apply artistic Image Effects to both stills and videos in real-time.